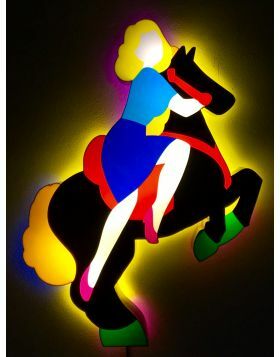 This sericollage is part of a folder named 500 Vintage realized in 100 samples on transparent PVC and in four variations of colors. 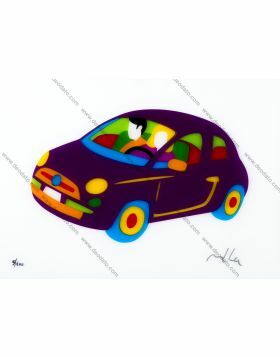 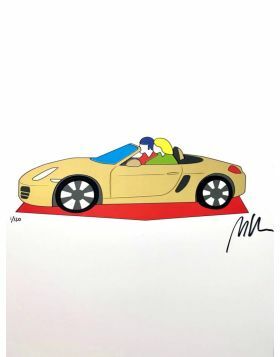 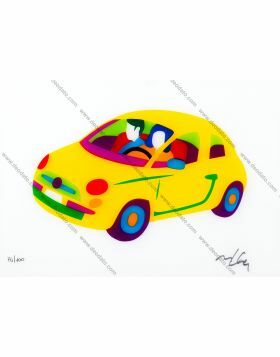 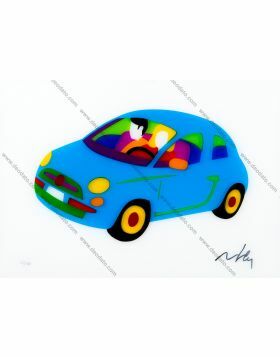 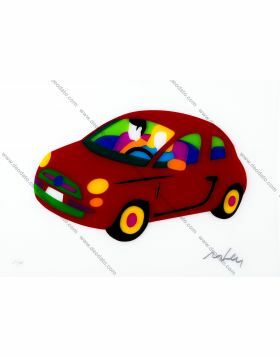 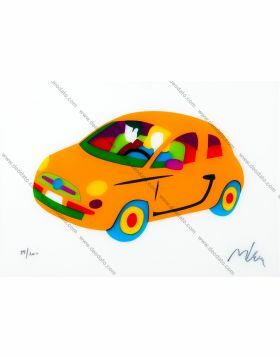 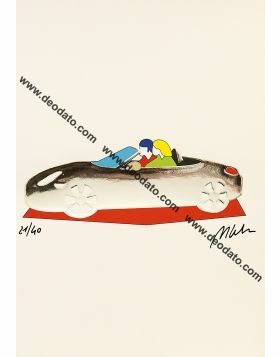 Cars are one of the favourite subjects of Lodola: besides the Fiat 500 the artist chooses to represent also in other works the Porsche and the Mini. In this case the 500 Fiat is in a beautiful green color. 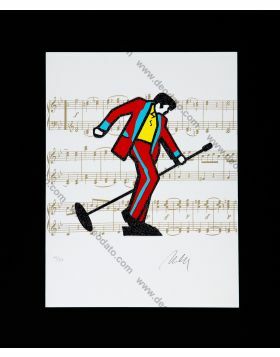 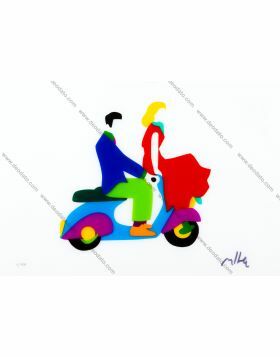 Sericollage signed and numbered in original by the artist. 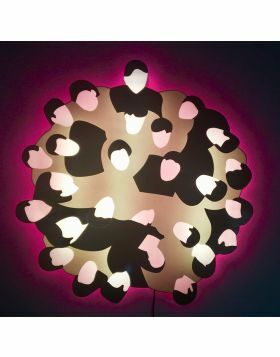 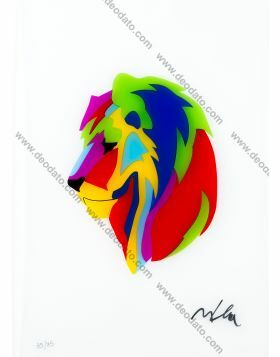 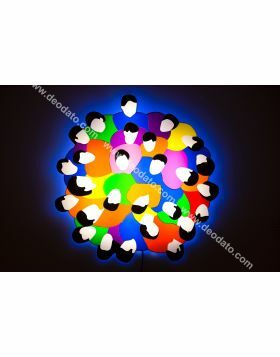 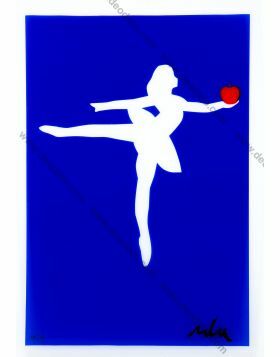 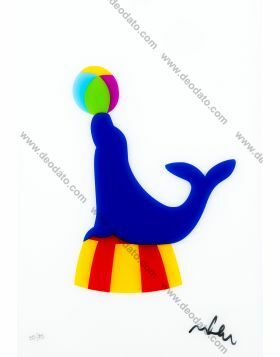 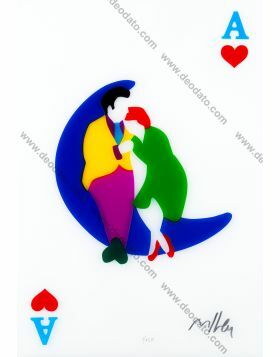 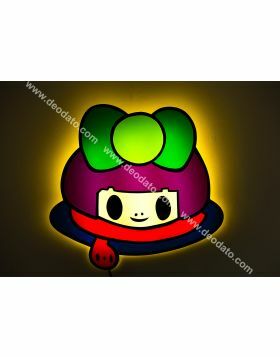 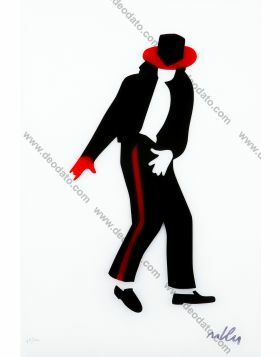 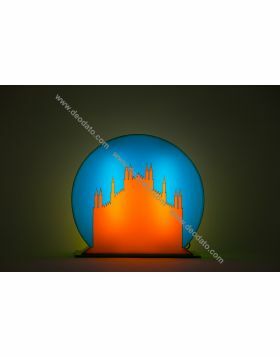 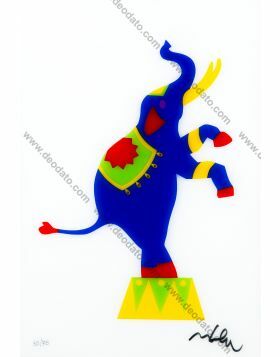 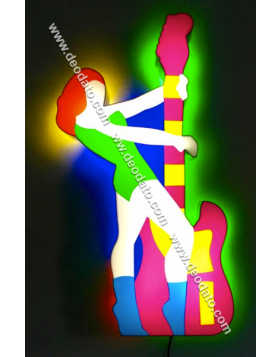 Limited edition in 100 exemplars on transparent PVC. 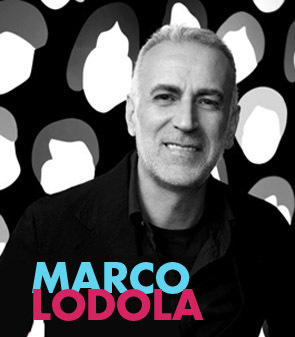 Marco Lodola was born in 1955 in Pavia; he attends the Fine Arts Academy of Florence and Milan. 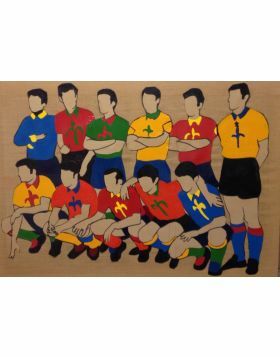 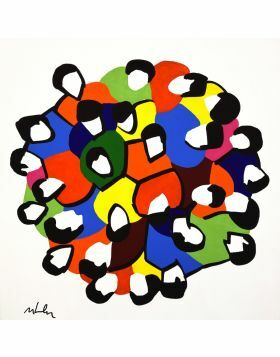 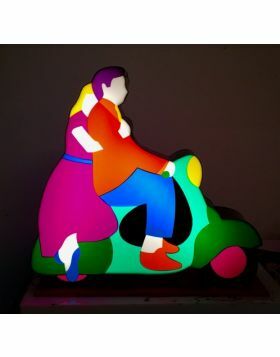 He starts his career at the beginnings of the 80s near to the New Futurism trend, a movement thought by Renato Barilli, and he then bagan to expose in all the world (Italy, Pechino, Hong Kong, Singapore, New York ecc...). 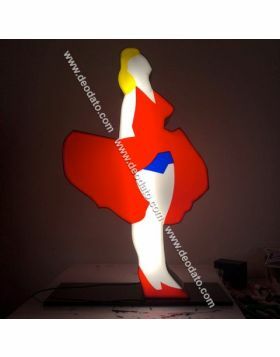 He collaborates with important musicists such as Max Pezzali and Jovanotti and he makes scenery for cinema, television and theatre. 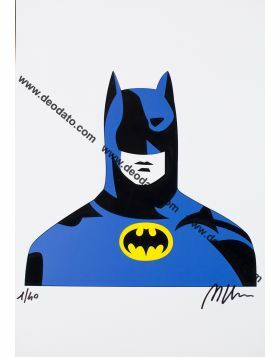 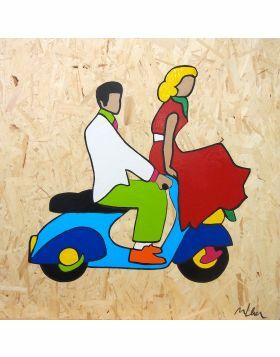 Marco Lodola is internationally famous, very appreciated for his unique Pop style that combines art, music, cinema and design. 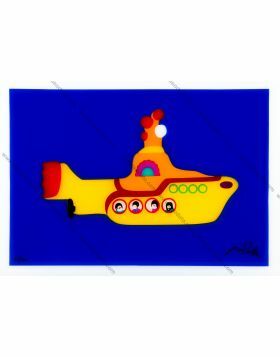 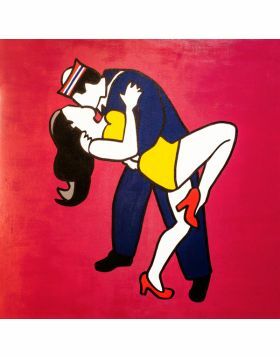 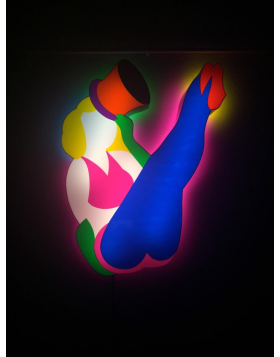 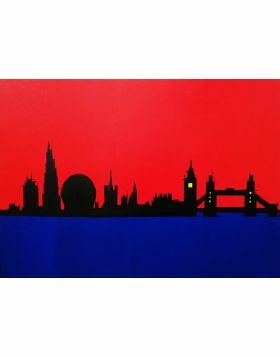 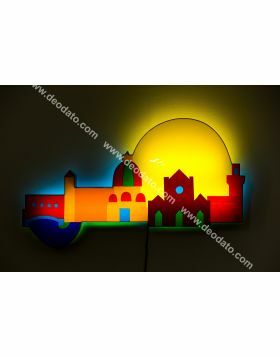 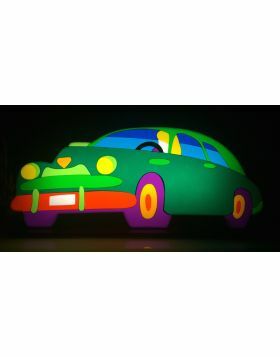 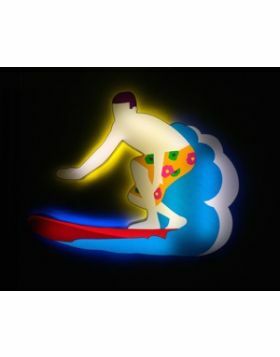 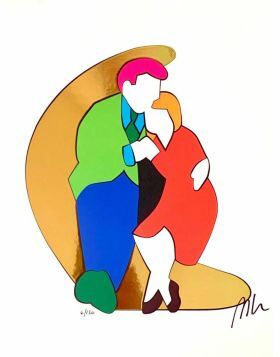 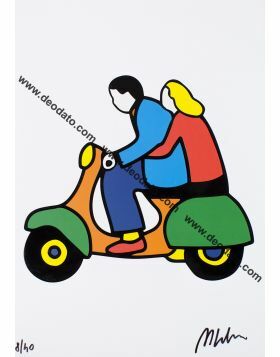 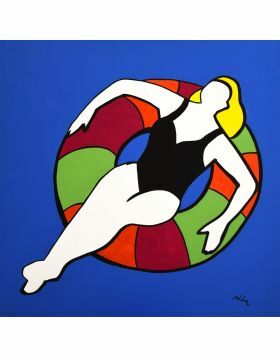 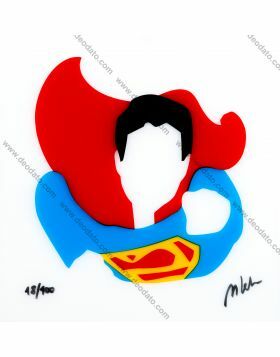 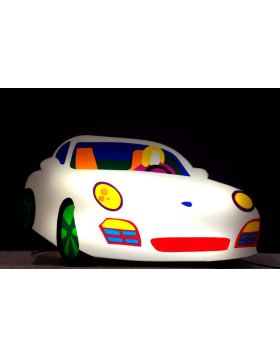 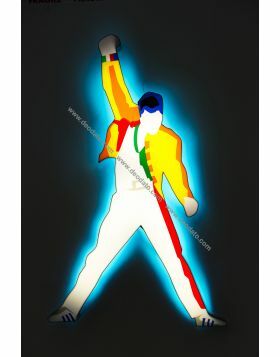 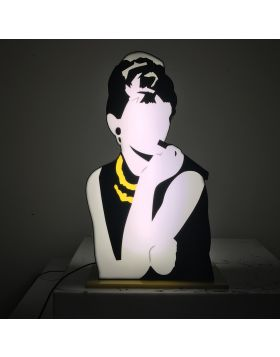 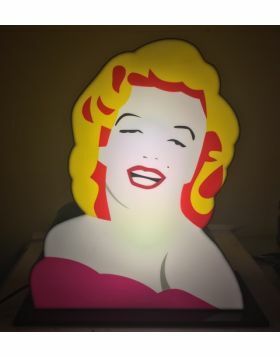 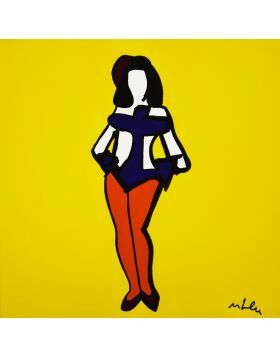 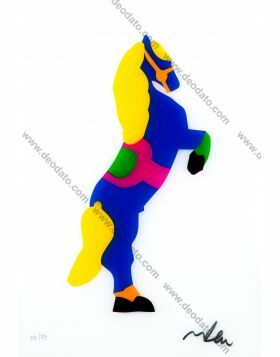 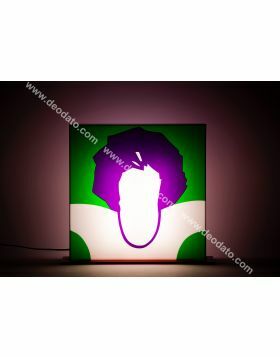 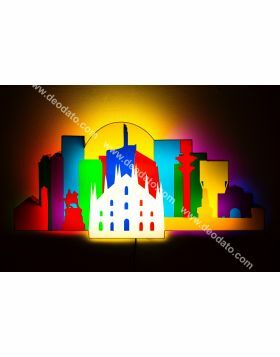 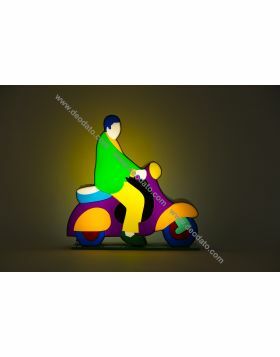 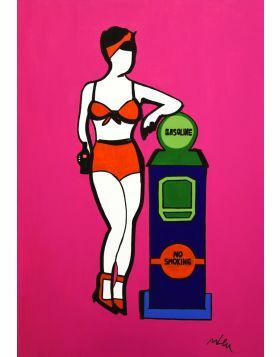 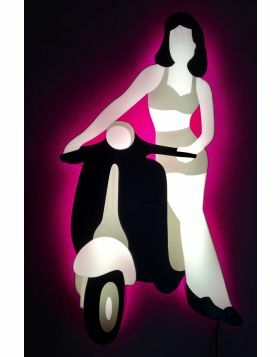 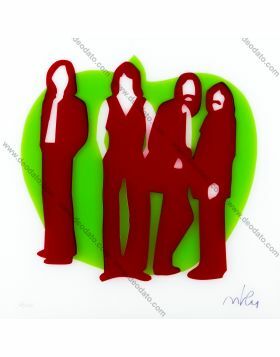 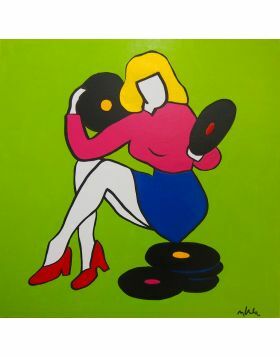 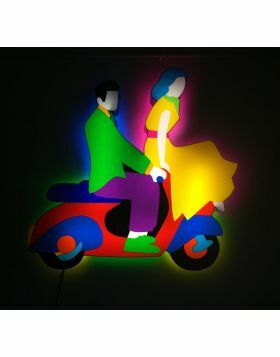 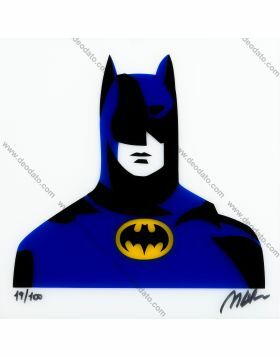 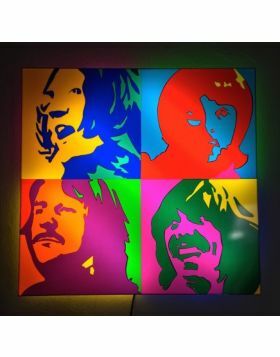 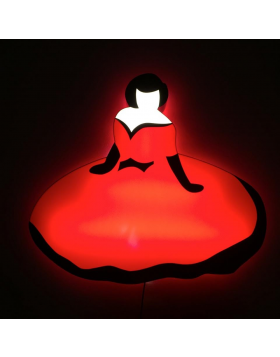 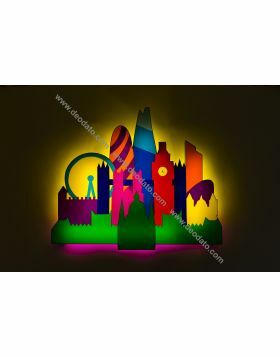 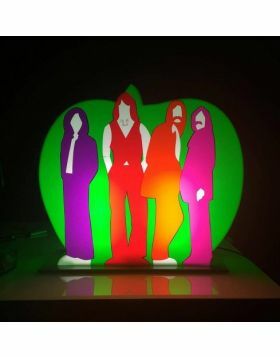 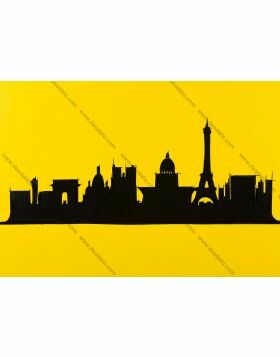 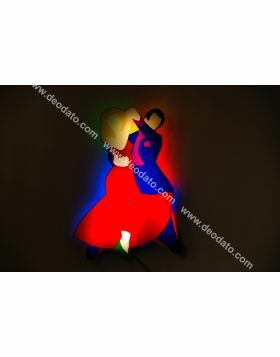 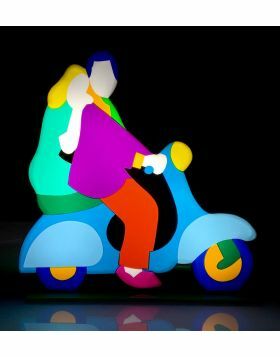 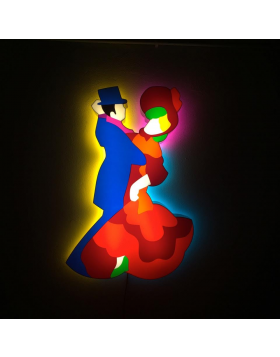 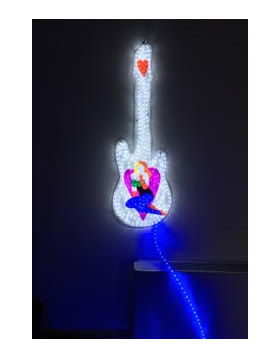 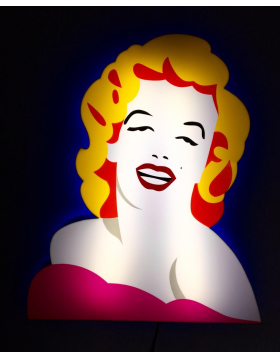 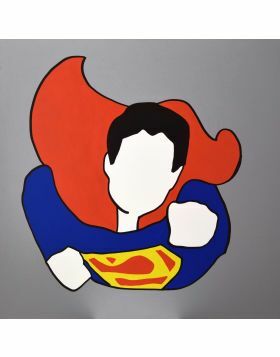 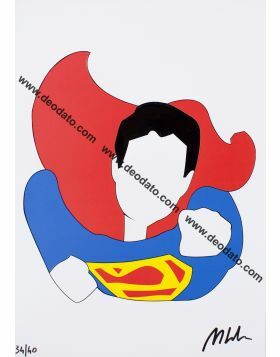 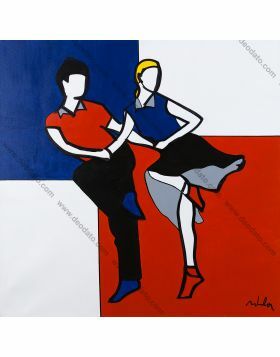 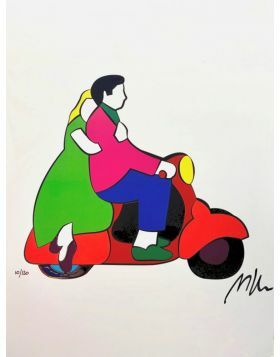 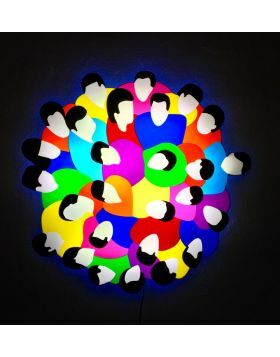 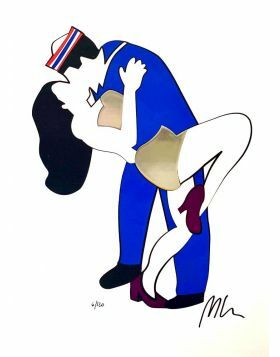 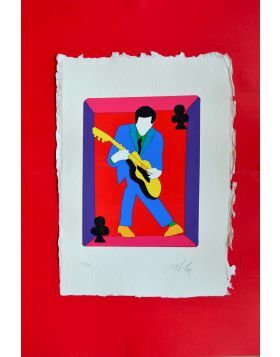 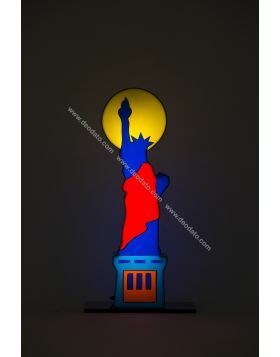 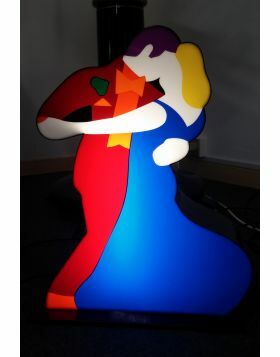 His artworks and in particular his luminous sculptures made with perspex and neon are characterised by vivid colors and well known subjects, such as Pin Up, Scooter, cars, sport, and famous people.